The Dramatists Legal Defense Fund, in partnership with PEN America, presented Banned Together: A Censorship Cabaret during Banned Books Week 2018 (September 23-29). A provocative cabaret-style performance showcasing excerpts from Tony Award-winning plays and musicals such as Rent, Cabaret, Fun Home, and Angels in America, these productions are widely challenged by those who desire to censor the literary community due to the content and/or language of works. 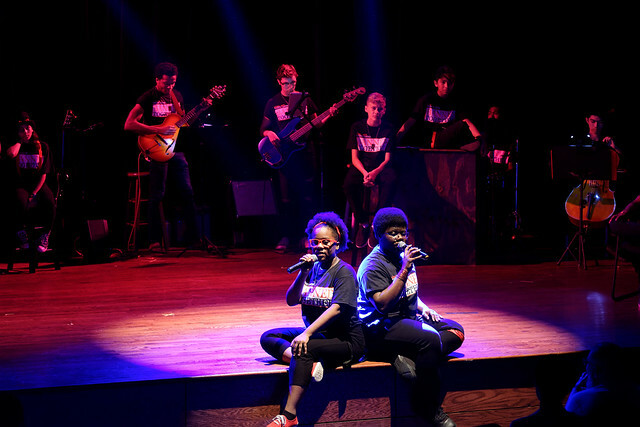 However, they found their voices again on the Bishop Arts Theatre Center stage. Working with the TNT (Teenagers And Theatre) Apprenticeship program, Banned Together educated teen and adult audiences of how theatre and the arts can inspire conversations, activism, and challenge our mindsets. Directed by Korey Parker.